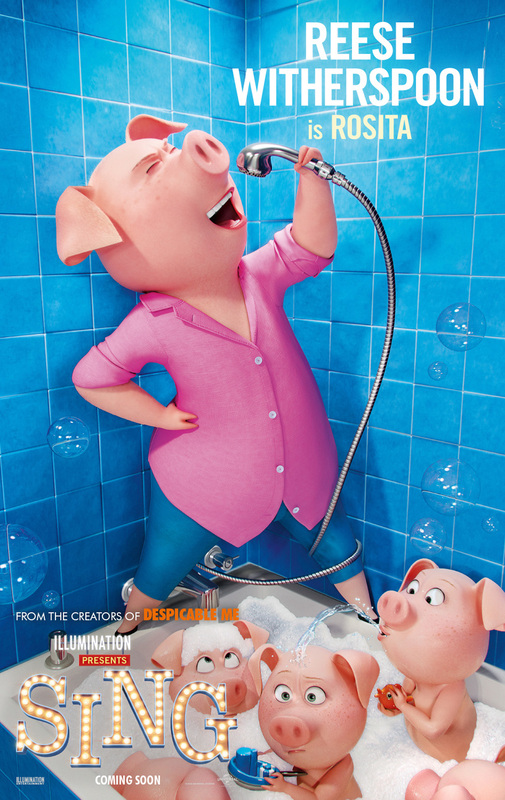 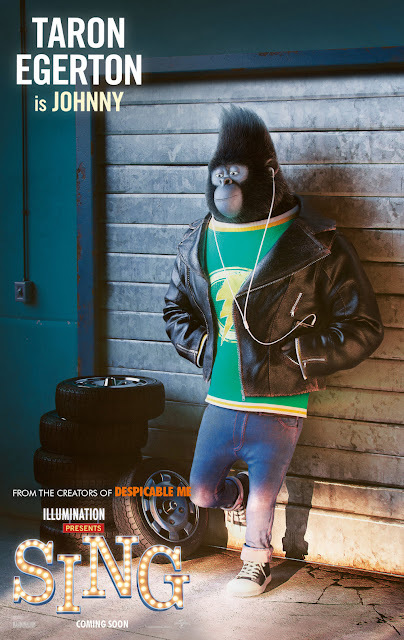 Take your first look at the newly released character posters of Sing, the new musical comedy from Universal Pictures and Illumination. Hugging the limelight are Buster Moon (Matthew McConaughey), Rosita (Reese Witherspoon), Mike (Seth MacFarlane), Ash (Scarlett Johansson), Johnny (Taron Egerton), Gunter (Nick Kroll) and Meena (Tori Kelly). 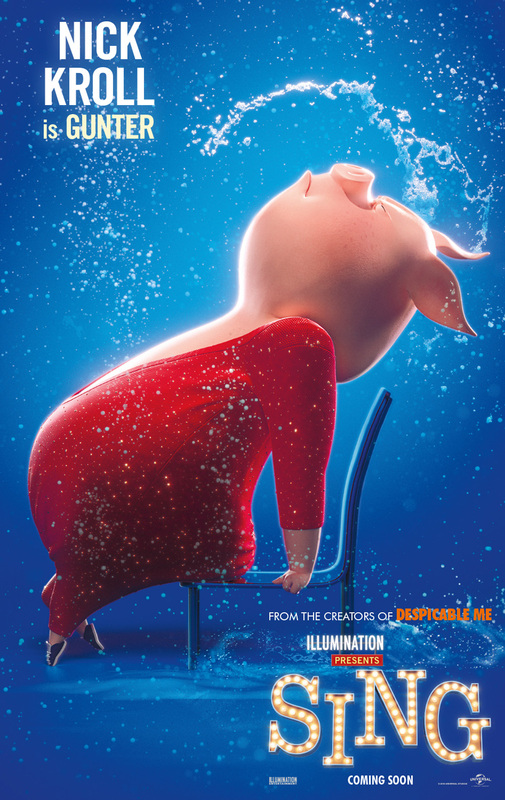 Check out the character one-sheets below and watch Sing in Philippine theaters on January 08, 2017. 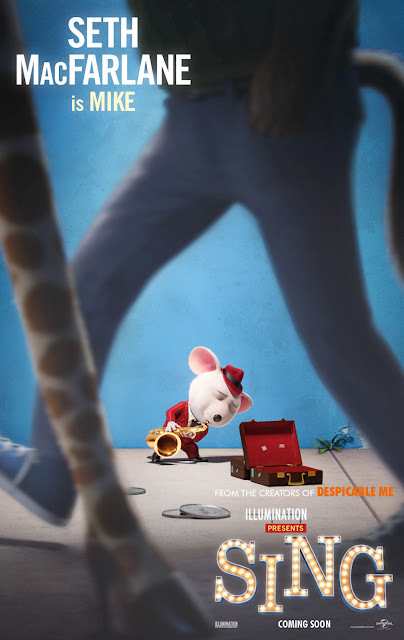 Set in a world like ours but entirely inhabited by animals, Sing stars Buster Moon (McConaughey), a dapper Koala who presides over a once-grand theater that has fallen on hard times. Buster is an eternal optimist—okay, maybe a bit of a scoundrel—who loves his theater above all and will do anything to preserve it. 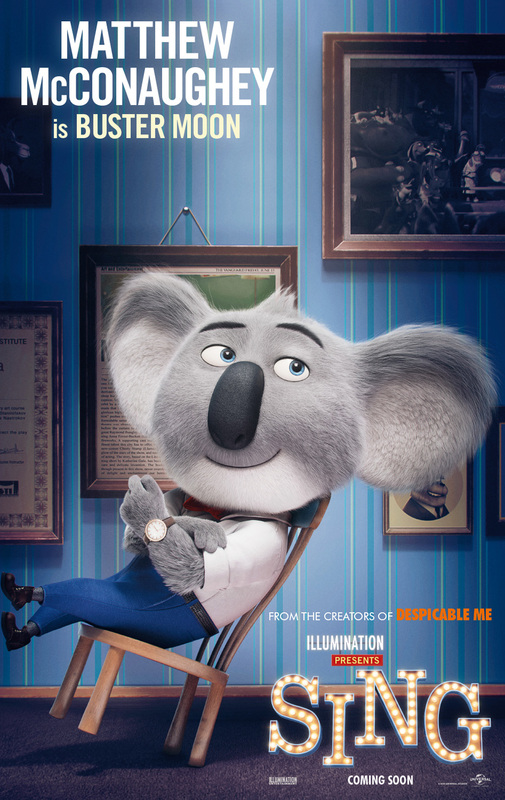 Now facing the crumbling of his life’s ambition, he has one final chance to restore his fading jewel to its former glory by producing the world’s greatest singing competition. 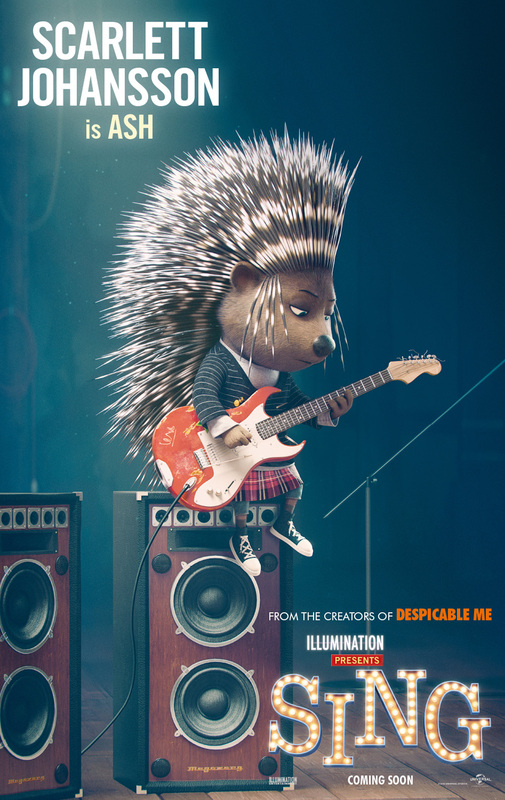 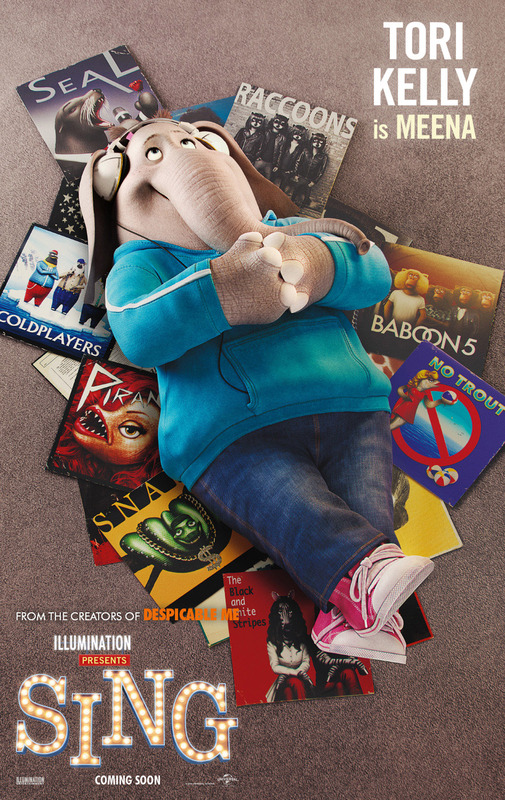 Featuring more than 85 hit songs, Sing is written and directed by Garth Jennings (The Hitchhiker’s Guide to the Galaxy) and produced by Chris Meledandri and Janet Healy.